10 Ajaw 3 Sek. Drawing by Jorge Pérez de Lara. 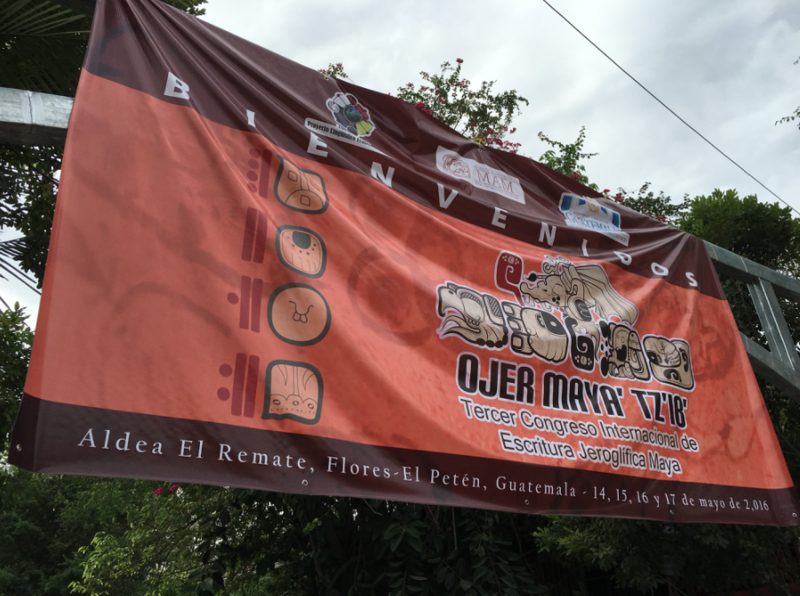 As the newly inaugurated president of MAM, this will be my first blog posting, and I wanted to begin by thanking all of our many donors for their generous contributions to help support the Tercer Congreso International de Escritura Jeroglífica Maya. 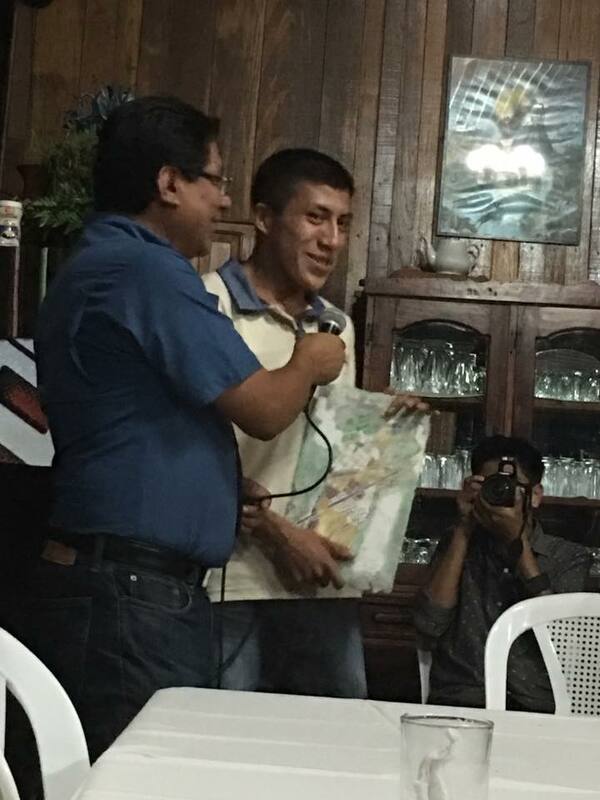 It was a great honor to attend the Congreso last month, and I was especially moved to meet and become friends with so many Maya people who are doing such wonderful work. They are all incredibly grateful for the work we do on their behalf at MAM, and they were very welcoming and hopeful about the future. I was honored not only with the passing of the Jade Celt from Bruce Love—a beautiful replica of the Leiden Plaque—but also with a beautiful stela made by Miguel Jiménez Guzmán, and so many good wishes and congratulations. I particularly want to thank both Beth Spencer and Bruce Love for being so supportive and accommodating at the Congreso, and during this transitional period for MAM. Likewise, I want to thank all of the organizers of the Congreso, who worked tirelessly to create a marvelous and historical event: Juan Rodrigo Guarchaj, Antonio Cuxil, Marta Cux, Ajpub’ Pablo García, Hector Xol, Walter Paz Joj, Clemente Peneleu, and Saquijox Candelaria López all worked together with many others, and the event went very smoothly. 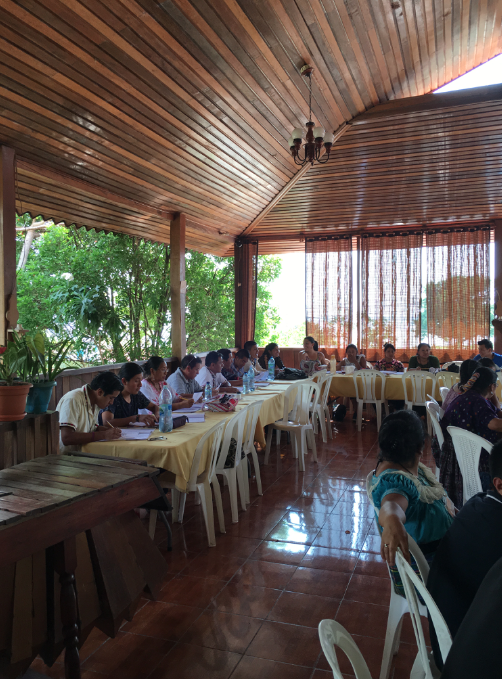 In all, there were some ninety attendees at the Congreso, speaking dozens of different Mayan languages, and there was a remarkable spirit of camaraderie and enthusiasm that ran throughout the event. We were treated to delicious food at the Hotel Las Gardenias, as well as beautiful marimba music, courtesy of the young Marimbistas from Ak’ Tenamit. 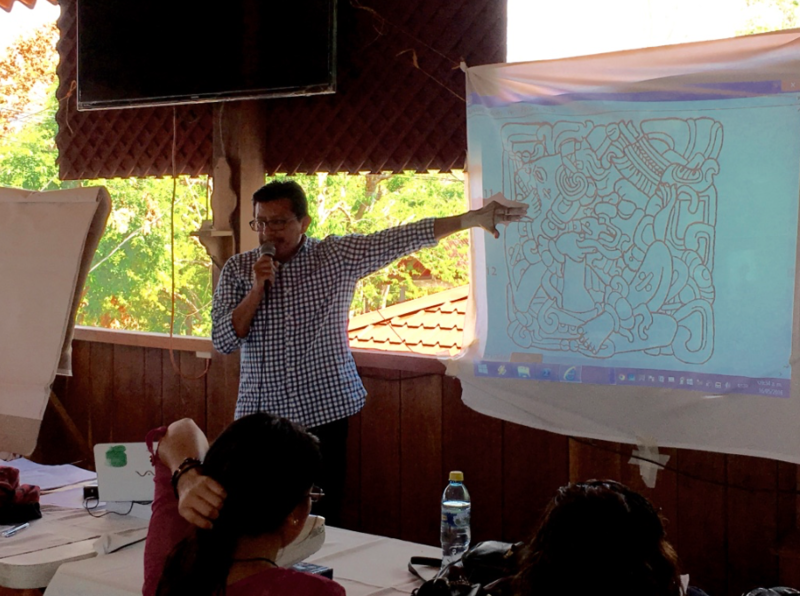 The weekend workshops were very well organized, with the well-attended beginners’ workshop at the Hotel Las Gardenias led by artist and Aj Tz’ib Walter Paz Joj, who also designed the beautiful poster, T-shirts, and certificates. Participants all presented how they chose to spell their name in glyphs. 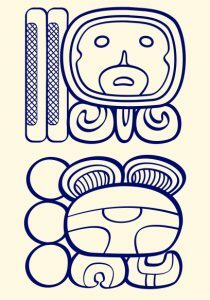 The workshop was co-taught by Hector Xol, who expertly instructed students about how to interpret the Long Count, as well as the complex, full-figured glyphs from Quirigua. 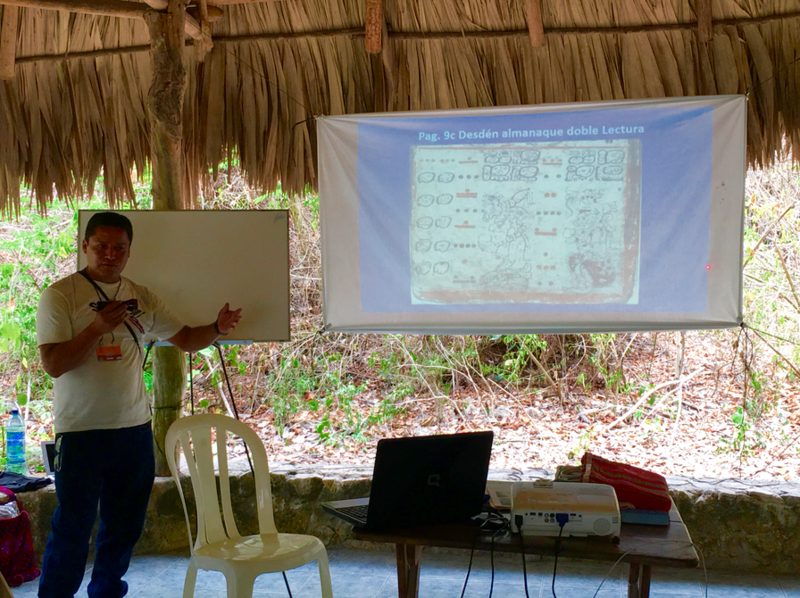 Antonio Cuxil also helped to teach this workshop, and Antonio did an amazing job coordinating the visits to Yaxha’ and Tikal and generously sharing his wealth of knowledge about both sites. It was an unforgettable experience to travel to these sites with everyone! In the nearby Cerro Cahui Biotope Reserve, Bruce Love led an enthusiastic group of intermediate students in which groups constructed their own almanacs after studying those in codices. On the first day, Clemente Peneleu gave a fascinating and inspired presentation about his interpretation of some of the pages of the Dresden Codex. Beth mentioned to me that Clemente has his own radio program about all things related to the Calendar. 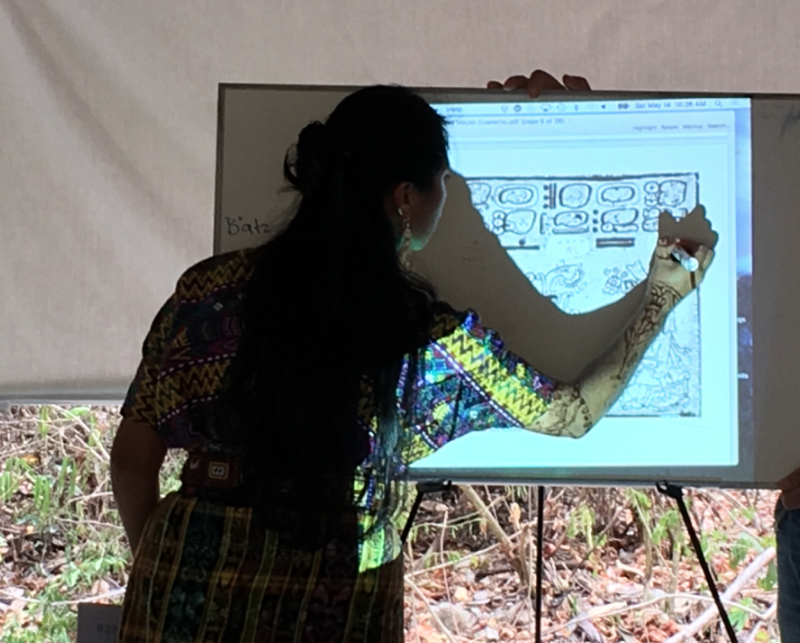 The advanced workshop, back at Hotel Las Gardenias, was expertly led by Hugo García Capistrán, who led the participants through a complete reading of the Early Classic text from the Tikal Ballcourt Marker, while also exploring very refined grammatical interpretations of the script. 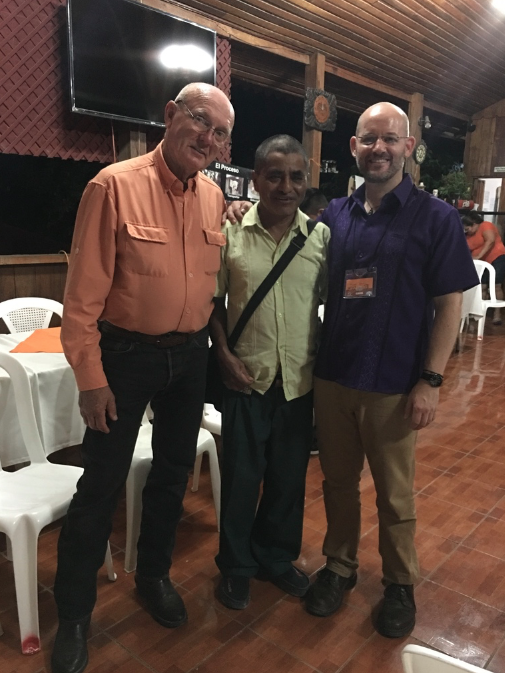 Hugo also helped to lead the tours in Yaxha’ and Tikal, and his presence at the Congreso was very well received and appreciated. Antonio Cuxil hired him for this position after he was highly recommended by Harri Kettunen. Ajpub’ Pablo García Ixmátá was the master of ceremonies for the event, and he hosted our inauguration ceremony, as well as the closing ceremony for the event. I had a great opportunity to speak with Ajpub’, Hector, Walter, and the new PLFM Executive Director Juan Rodrigo Guarchaj about the future Congresos, and how they see the role of MAM. It was very clear to me that they all regard Bruce very highly, and they remarked how he has maintained the spirit of egalitarianism that Linda Schele, Nick Hopkins, Kathy Josserand, and the other founders imparted when these workshops first began. As I mentioned to everyone in my inaugural address, it will be difficult to fill Bruce’s shoes, and he has done tremendous work helping to organize these events to the point now where Maya scholars and teachers are successfully organizing them on their own. I think this next chapter for MAM will be an interesting and exciting one, and I am dedicated to doing my best to listen and learn, to see where MAM can be of help, and to work collaboratively to continue this great work. 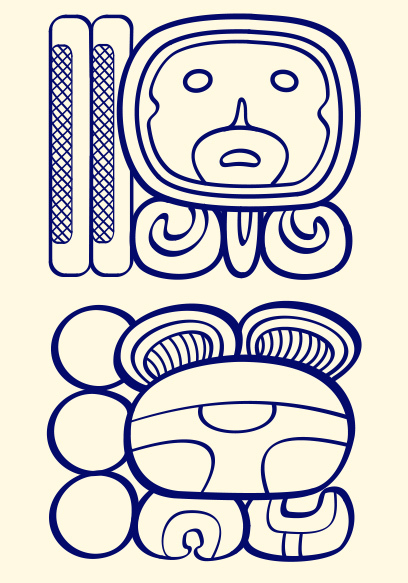 As we move into the future, I am interested in what you all think about including more Maya participation in the governance of MAM, and what it might mean to move toward including some of the organizers and participants of the Congresos within MAM itself. I’m not sure what this would look like, or how we might get there, but it is a thought I have as we move forward, and as we consider where we are headed. There is already a great deal of momentum generated at this last Congreso for starting future workshops. I will be discussing ideas with the Congreso organizers about these things and about the next Congreso, and where they see the role of MAM in our next chapter. I would love to hear all of your thoughts and ideas about this as well. I left the event a changed man, and as I mentioned in my closing remarks, I no longer will refer to myself as an epigrapher. This writing may be ancient, but it lives again. Following the example of our Maya colleagues, I join them on the path of learning to be an Aj Tz’ib. Thanks for all of your support, and I look forward to working with you all! Congratulations to you, and to MAM, for going forward on this very valuable endeavor. I know we all owe Bruce immensely for his work to have brought it this far. I look forward to someday visiting one of the workshops.